The Preakness – Baltimore’s diamond in Thoroughbred racing’s Triple-Crown – is a festive affair which usually draws upwards of 100,000 patrons. Anyone who has ever attended will tell you it’s a rocking good time, but admittedly, not everyone’s bottomless mug of beer. For those who prefer their excitement at a more sober pace, the Preakness Meet at Pimlico offers Black-Eyed Susan Day the Friday before the big race. Named for the official state flower of Maryland, Black-Eyed Susan Day features fourteen turf and dirt track races which vary in length from 5 furlongs to 1 1/8 miles. 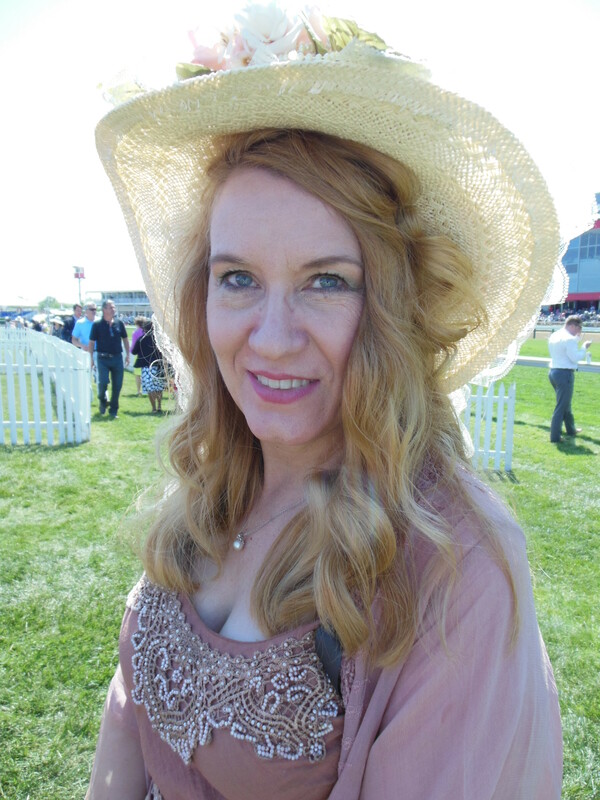 There is betting, of course, and no lack of stylish straw hats and flowing sun dresses. The day also serves as a run for the many vendors and corporate entities who hold court in the spacious infield; offering everything from scented candles and luxury cars to corn dogs and chardonnay. Baltimorean Blake Hanley – a technician in the Maryland Air Force National Guard – was wisely taking in the shade of the U.S. Air Force recruiting tent when the Baltimore Post-Examiner caught up with him. In the Girls Galleria, Catonsville resident Rosanna Tufts, a regular host on the internet Perfect World Radio Network, was sharing stories about people who are making their dreams come true. And York, Pennsylvania’s Becky Magnani was manning a colorful display of ceramic Scentsy scented candle wax warmers. Towson residents Ross and Sally Hewson were attending their first Black-Eyed Susan Day, but the outing was not their first trip to Pimlico. “It’s been fun so far,” said Sally. “We used to come to the Preakness eons ago – pre-kids. Ross wanted to do this for his birthday and I thought, ‘Hey, yes. Let’s do it!’. One sure bet for the Hewsons were the burgers being served at Budweiser’s mobile grill and tap. 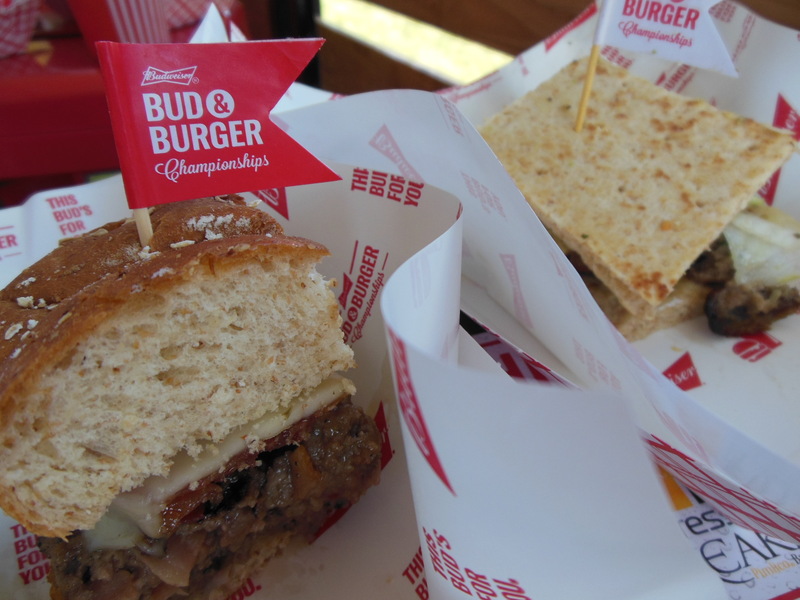 The beer giant is feting racing fans at Pimlico this weekend with its Bud & Burgers Championship – a coast-to-coast tour pitting contestants against each other in a savory grill-off. Preakness goers will have a chance to taste each contestant’s burger and vote on who deserves to move on to the finale in St. Louis on July 11, where the Bud & Burgers Champion will be crowned. St. Louis’ Jordan Krantz and his ground chuck, caramelized bacon and pepper jack cheese burger are facing off with Miami’s Katie Encina, whose burger includes guava mayo, avocado and a specialty salad. The Hewson’s said both burgers were delicious, but their vote for the winner was Katie Encina’s avocado topped offering. Mt. Washington residents Stacey and Betsy also stopped by the Budweiser grill for a bite of the burgers while relishing their first Black-Eyed Susan Day. For those who did care to wager, local stable Sagamore Racing secured two victories as Miss Temple City started things off on the turf with a victory in the $100,000 Hilltop Stakes with Charm City Girl following suit to win a $52,000 Allowance by a nose. Both horses were under jockey John Velazquez and are trained by H. Graham Motion. Sagamore Racing will have five horses competing in stakes races on Preakness Day. All I Karabout and Commute are entered in the $100,000 James W. Murphy Stakes. Happy My Way is aiming to become a repeat winner in the Grade 3 $150,000 Maryland Sprint Handicap. Tizgale is entered in the $100,000 The Very One Stakes, and War Correspondent will run in the Grade 2 $300,000 Longines Dixie Stakes. 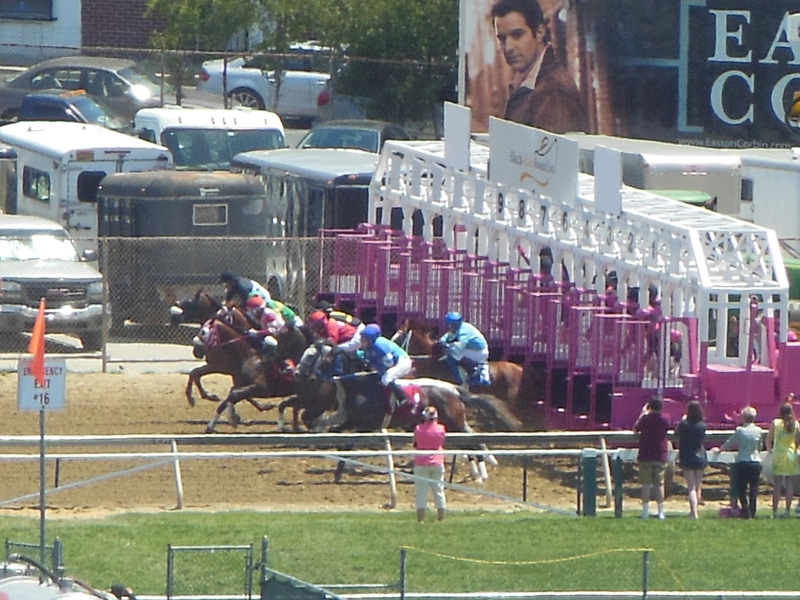 Post time for today’s 140th running of the Preakness Stakes is 6:18 p.m. The favorites are Kentucky Derby winner American Pharaoh (4:5), Dortmund (7:2) and Firing Line (4:1).